Rotem Moscovich at Disney-Hyperion has bought Marcy Campbell's (l.) Something Good, a picture book in which a young narrator describes the aftermath of “something” (readers are never told what) being written on the girls' bathroom wall, first feeling her community may never recover, but ultimately seeing it come together to heal and embrace a new kind of school pride. Corinna Luyken will illustrate; publication is slated for summer 2021. Steven Malk at Writers House represented both the author and the illustrator in the deal for world rights. 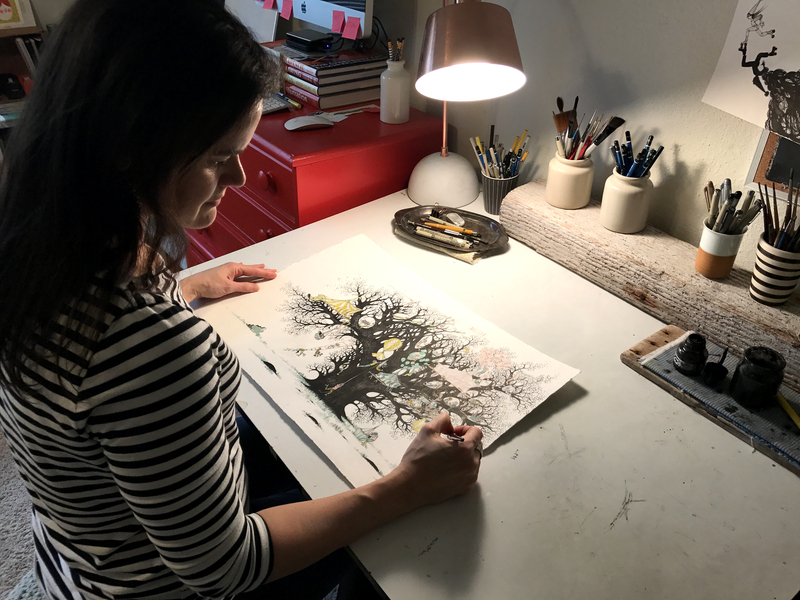 Kate O'Sullivan at HMH has acquired world rights to Kate Hoefler's (l.) Nothing in Common, a picture book about an old man, a hot-air-balloon-flying dog, and two kids who appear to have nothing in common, but perhaps do where it counts most. Corinna Luyken will illustrate; publication is planned for fall 2020. Steven Malk at Writers House represented both the author and the illustrator in the deal. Katie Cunningham at Candlewick has bought world rights to Carolyn Crimi's debut middle grade novel, Weird Little Robots, illustrated by Corinna Luyken. In a new town with only the robots she creates for company, it only takes a little bit of magic to change everything for nine-year-old Penny Rose. Publication is set for spring 2019; Danielle Smith of Red Fox Literary represented the author and Steven Malk of Writers House represented the artist.